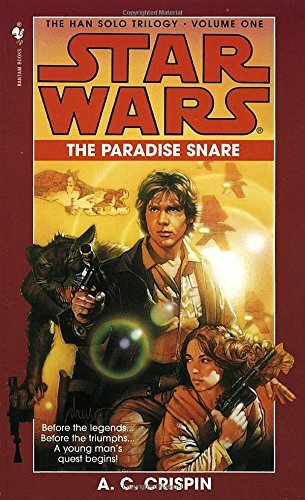 Time for episode 23, where we get back to basics and cover the first book in the Han Solo trilogy, The Paradise Snare by A.C. Crispin which was published back in 1997. Then, we get to the book. As always, we begin with a spoiler-free reading of the publisher’s summary and our initial impressions of the book. Then we sound the alarm and get into our plot summary and detailed spoiler filled opinions. The rocket launching the satellite at the beginning of the episode uses one of the same sound effects as used for Airwolf.